Simply Click Below To Buy One Today! When you are looking for a fireplace tool set with an unpretentious design look no further. 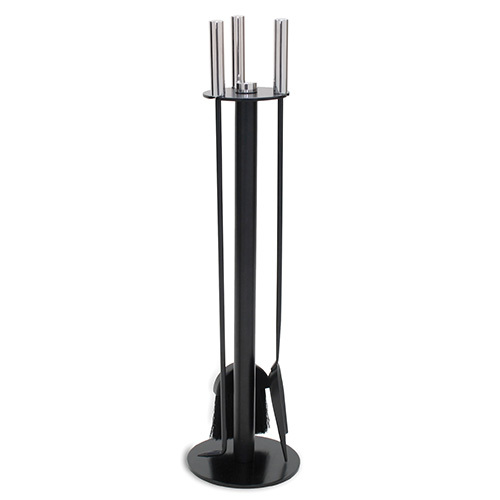 This beautiful set of fireplace tools has a center post stand with flat round base that gracefully supports the hanging of all three tools for easy access in a contemporary design. These fire place tools are hand forged in a natural iron finish and measure 31”H. They weigh approximately 15 lbs. The 4 pieces of this fire place tool set include stand, broom, shovel, and poker.